I created this pizza crust without yeast because I’m a huge thin crust pizza fan. 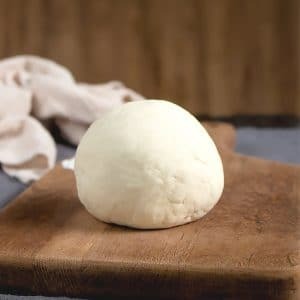 I make pizza from scratch at least once a week by using my Italian homemade pizza dough. Why making a pizza crust without yeast? I love Pizza but I always make my pizza crust from scratch. Sometimes I forget to prepare my pizza dough and sometimes I’m craving pizza instantly. This is when I prepare my no yeast pizza dough. Of course nothing beats pizza crust made with yeast, but in case of an emergency the quick and easy pizza dough will come handy. Technically this yeast free pizza crust recipe is a flatbread pizza dough. Originally I used my Flammkuchen base recipe (Alsatian French /German Pizza) to prepare my yeastless pizza dough. Eventuelly I came to the conclusion that the pizza base could need some lightness. So, I modified the Flammkuchen base and came up with the best quick pizza crust recipe without yeast. You will need common food ingredients to prepare this pizza crust without yeast. This includes All-Purpose Flour, Salt, Olive Oil and Water. I also add baking powder to add some airiness to the homemade dough. Baking Powder, not baking soda. These are two very different ingredients. 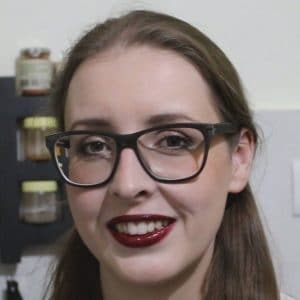 Baking powder is baking soda and cream of tartar combined. It’s a leavening agent. So instead of yeast, you can add baking powder! That way you will have an instant pizza dough! You also have the option of using self rising flour instead of all purpose flour and baking powder. Self rising flour is a combination of flour and baking powder. Don’t skip the olive oil in the basic dough recipe! Olive oil makes the pizza dough elastic and we will need this because we don’t add yeast. 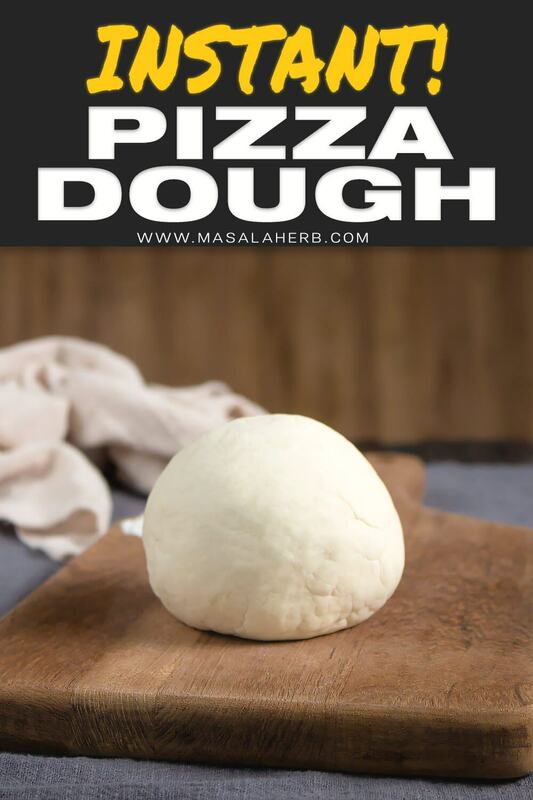 Preparing homemade pizza dough without yeast is straight forward and doesn’t include waiting time. Mix the dry ingredients, flour, salt and baking powder together. Make a well and add the olive oil and some water at a time. Combine the ingredients with your hands or with a kitchen machine. Add water batch wise, while forming everything to a dough. 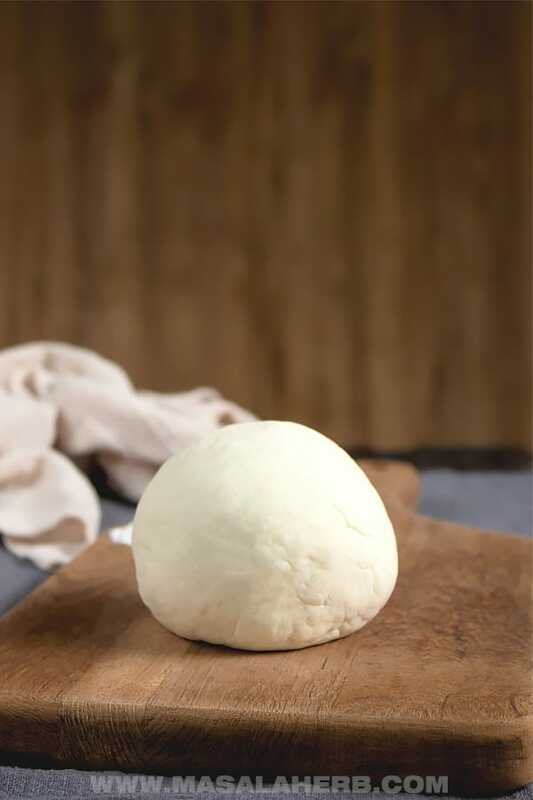 Create a smooth and elastic, non-sticky dough and shape to a ball. Now you can move on and roll out your no yeast thin crust pizza dough and add your toppings as usual. 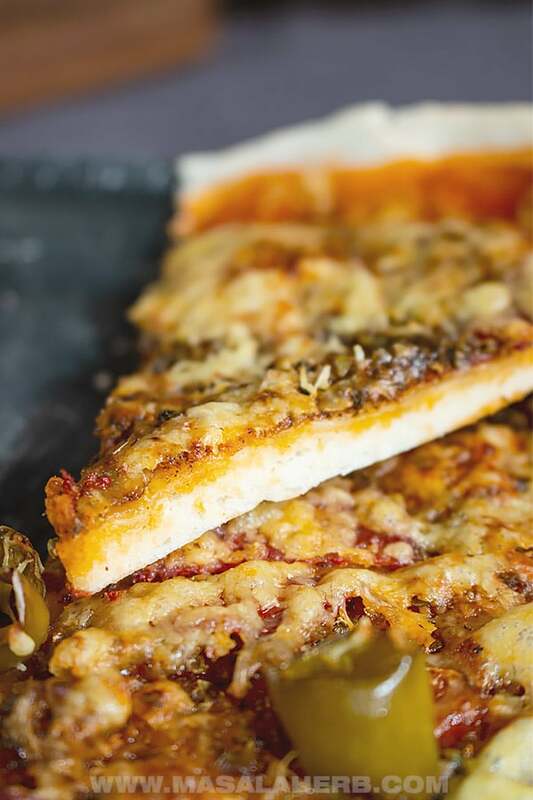 The easy no yeast pizza dough is naturally vegan, as it doesn’t contain animal products. For a Gluten free pizza crust without yeast, you can use a mixture of gluten-free flours such as buckwheat, rice flour, potato starch, and tapioca flour. You can also prepare a low-carb, paleo pizza without yeast. Instant no yeast pizza dough. Make this and enjoy your pizza within 30 minutes. Add the all-purpose flour, salt and baking powder to a mixing bowl. Combine the dry ingredients. Make a well in the center and pour in the olive oil and some of the water. Don’t add all the water at once but instead add some water, a bit at a time, during the mixing process. Start to combine the ingredients by hand or with a kitchen machine.. Form gradually a ball by adding some water at a time. The aim should be a smooth nonsticky ball of dough. If it’s too sticky add a small quantity of flour if it’s too dry add a few drops of water. 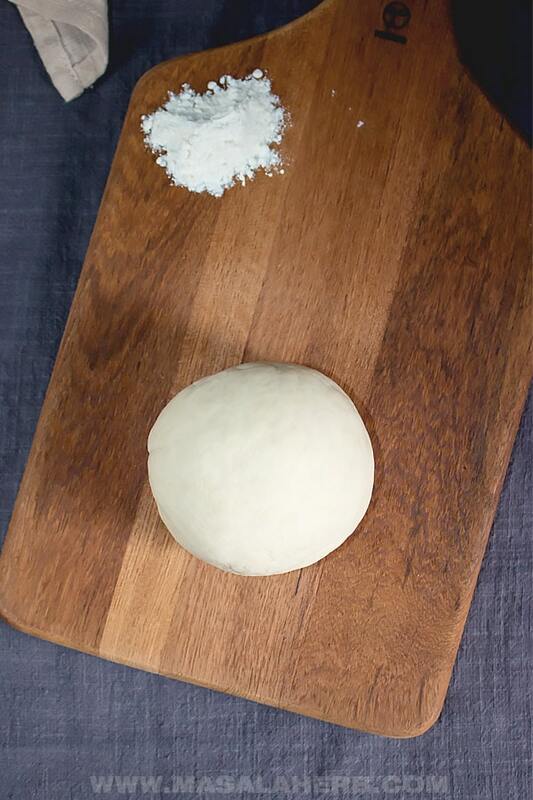 Roll out the dough on a lightly floured surface and top it with your favorite pizza toppings. Bake at 400 Fahrenheit/ 200 Celsius for about 13 minutes or until crisp and baked through. Dear Reader, what’s your favorite Pizza topping? 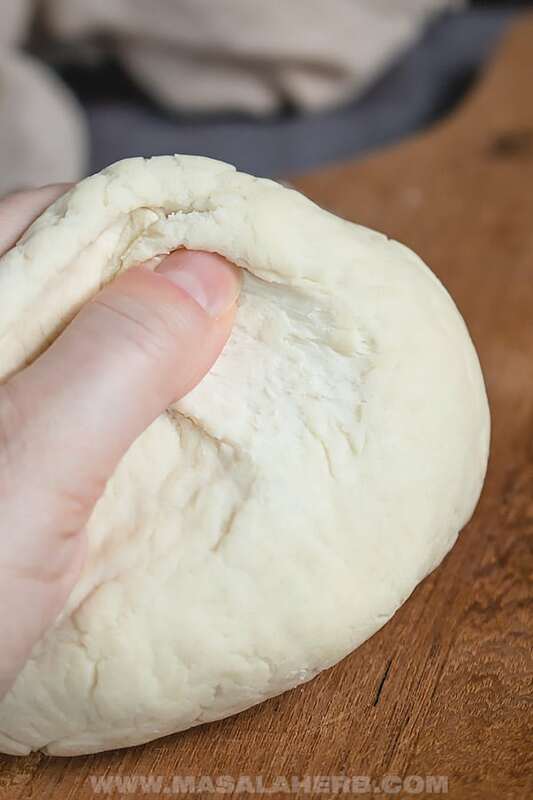 Hi, this may be interesting you: No Yeast Pizza Dough Recipe!